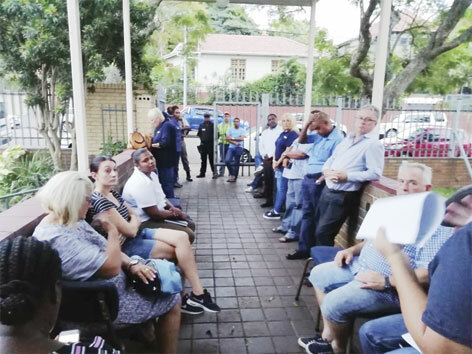 The Umbilo executive CPF members, together with Umbilo SAPS and Metro Police, held a meeting for stakeholders within the community at Glenwood Presbyterian Church Hall on Thursday, 7 March. The meeting compromised of all armed response companies that have clients within the community, community watches, Road Inspectorate (RTI), church leaders, safety forum’s,ward councillors and committees, Glenwood BCIP (UIP) and Umbilo Business Forum. on a daily basis, thus helping them to narrow down the crime,” said Rorrick. She said on the night they visited hots spots and notes were taken. “The operation was unified and was a huge success, especially now that more people want to get involved,” she said. She said the joint movement of the SAPS, CPF and security companies and members of the community will continue working together in such operations in future.